Acropora cervicornus, the endangered Staghorn Coral, is the focus of ongoing restoration efforts in Florida and throughout the Caribbean. Image credit: Florida Aquarium. Beginning in April, The Florida Aquarium’s biologists and divers, in partnership with the Coral Restoration Foundation and Florida Fish and Wildlife Conservation Commission, the University of Florida, Nova Southeastern University, and others embarked on an unprecedented conservation mission designed to help the Florida Reef Tract combat a rapidly spreading disease that can potentially put this animal at risk of extinction. 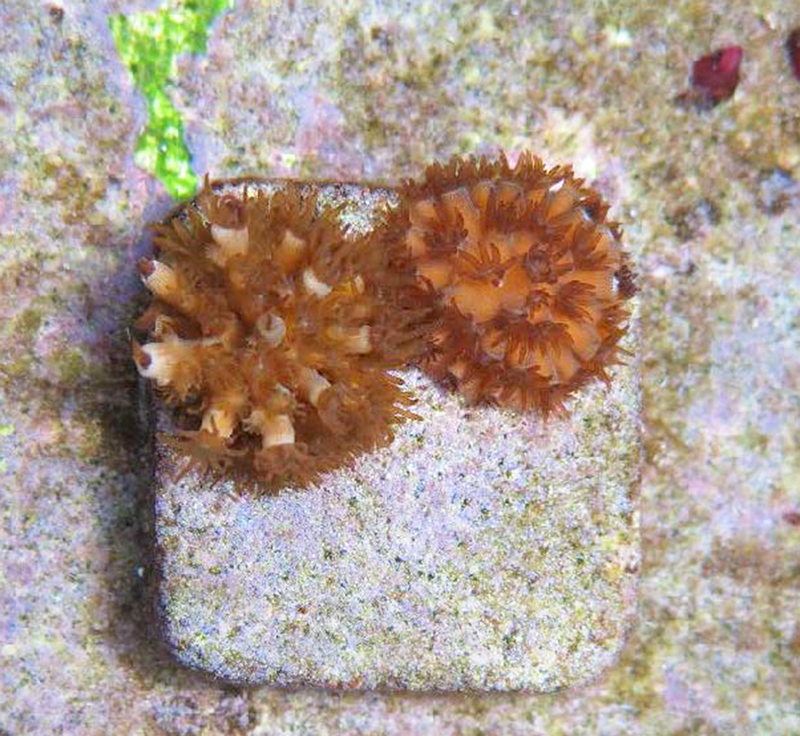 Over 3,000 unique genotype Acropora corals will be introduced to the Florida Reef Tract. These corals were created from eggs and sperm from the corals in Coral Restoration Foundation Coral Tree Nursery and reared at The Florida Aquarium in Tampa. Many will be outplanted at various specific locations as part of an unprecedented conservation mission. Young Acropora cervicornis Staghorn Coral grown in the lab from coral spawning at the Coral Restoration Foundation’s Coral Tree Nursery in the Florida Keys. Image credit: Florida Aquarium. The health of the Florida Reef Tract (which spans nearly 150 miles, from Key Biscayne through the Florida Keys, and is the third largest coral barrier reef system in the world) is critical for the animals and people who depend on it. The reefs of the Florida Keys provide food and recreational opportunities for residents and vacationers alike, and they protect coastal communities as a buffer for hurricanes and other storms. The economic impact of tourism related to the Florida Reef Tract generates $8.5 billion in economic activity and supports over 70,400 jobs. 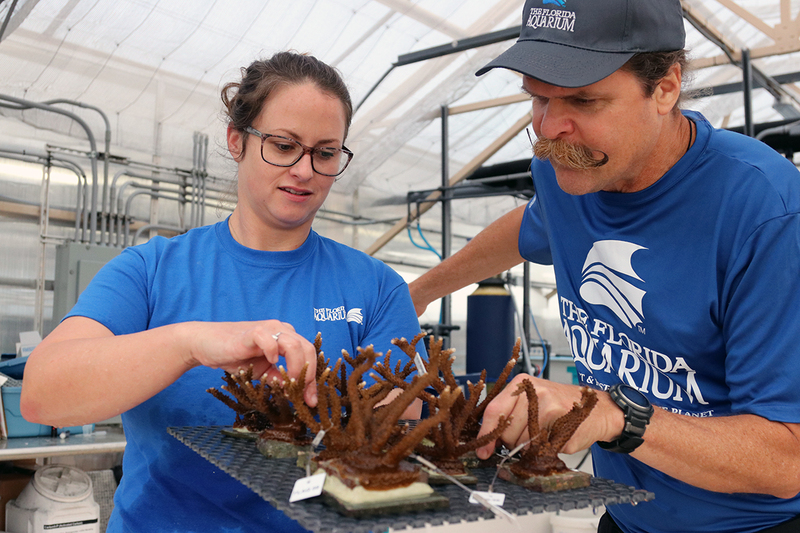 Recognizing these high stakes, The Florida Aquarium will be leading the largest genetically diverse coral introduction in Florida’s history along the Florida Reef Tract, with many entities helping in this critical conservation initiative. 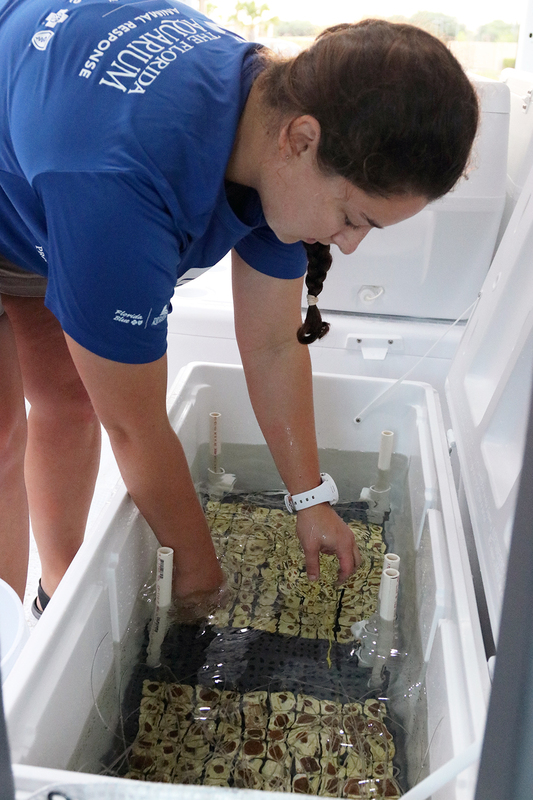 Trays of young corals being packed for transport. Image credit: Florida Aquarium. *All research activities occurred within the Florida Keys National Marine Sanctuary and under permit. How will this combat the disease that is rapidly spreading? Won’t the disease attack these corals too?